Dr. Elbert D. Charpie lives in Citronelle, Alabama where he pastors Shiloh Baptist Church of Deer Park, Alabama. He has studied end time events for many years and developed “In View of the End” over a dozen years ago. Dr. Charpie earned his Master of Divinity and Doctor of Ministry degrees from New Orleans Baptist Theological Seminary. He lives with his wife, Vickie, and has two sons and a daughter. 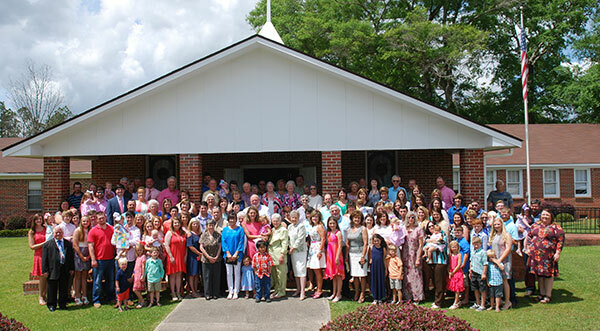 Shiloh Baptist Church is a thriving fellowship in the small Deer Park community located about 15 miles North of Citronelle, Alabama. Dr. Charpie came as pastor of Shiloh Baptist Church in Deer Park in August of 2016. Originally from this area, he had served previously at First Baptist Church of Citronelle and Grace Baptist Church in Johnson City, Tennessee. Citronelle is a community settled in 1811 about 25 miles North of Mobile, Alabama. It became a booming oil town during the 1940s & 50s. Deer Park is about 10 miles north of Citronelle.